A sleek and sophisticated men's gift set by BOSS, this Tennyson & Jammison combination provide smart silver tone essential accessories for the modern day gentleman. 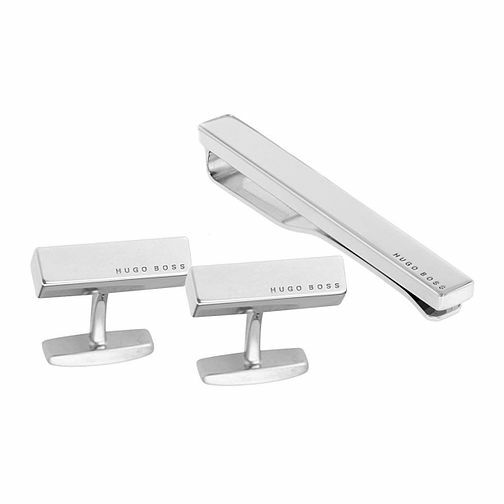 Crafted from brass, this gift set presents a pair of rectangular 3D cufflinks engraved with the BOSS logo, and co-ordinating tie bar. Expert tailoring made effortless, ideal for everyday wear. Practical and stylish gifts and accessories for any occasion.